'The Paintings' - new title on Pre-Order! In the case of The Paintings it came from a line in a hastily written response to an email. 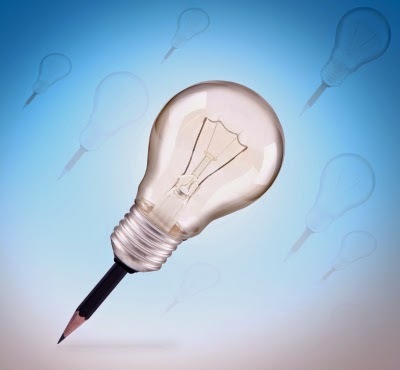 Halfway through the sentence the ubiquitous light bulb lit above my head and my fingers stilled. I'd just written an idea for what I thought at the time would be a 4,000 word short story. It turned out to be a 17,500 word short novella in the supernatural mystery genre, and at that length it can stand well on its own two feet. So it is. It was supposed to be an afternoon's appointment to assess paintings. So why was police tape hanging from the apartment's door? and live at Smashwords on Launch Day of 22nd March. 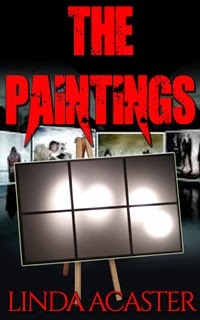 Labels: supernatural mystery , The Paintings , Where do you get your ideas? Part of the Showing technique, part of making a reality of flat words on a page, is to imbue those words by using the senses – sight, sound, touch, taste and smell. ‘As good as the last?’ I could hear Derek’s eagerness and gritted my teeth. The fire door opened and McGuire swept through on a glorious waft of fried fish and vinegar. ‘Lunch has arrived,’ I said. ‘I’ll ring for an update later,’ and I thumbed the button, not waiting for Derek’s response. If you happen to be reading from anywhere outside the UK you may well be frowning, but for those in the British Isles a glorious waft of fried fish and vinegar will have piqued their salvia glands and evoked a need to breathe deeply of the sharp mix of scents. Think what would have been lost if the line had merely read The fire door opened and McGuire walk in with a carrier. I am also flagging this version of a British takeaway so I can refer to it later in the story, but in a different context. Day old fried fish and vinegar reeks; there’s nothing glorious about the food cold. This works well in a Supernatural Mystery where decay is an underlying feature, where the characters are on edge and nothing is quite as it appears. If I were writing a Romance I would be using smells of food that are light on the palate, delicate and luscious on the lips. If I were writing a Thriller set in America I’d be using the greasier smells from a chain diner dependant on the State/region. Don’t have your characters go into an eatery at the end of a chapter and be out of it at the beginning of the next. Food is very important to us. Make the smell and taste and texture of it work to create a realism to your writing, and a tone to augment the genre you are writing for. There's nothing like being laid up with a head full of throbbing coals and watching your writing schedule seep away between the cracks taking your deadline with it. 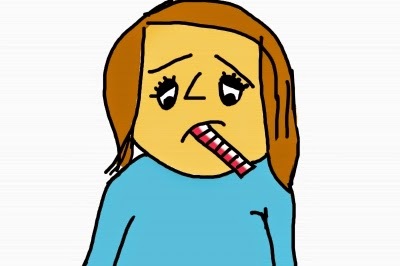 I don't do "ill", so it's probably PayBack this virus hitting so hard. Desperate for silver linings, even at the worst I was laid up on the sofa with my trusty Kindle determined to make an in-road into my monstrous To Be Read pile, despite reading the same page over and over as my body decided it would rather catch up on the previous night's coughed-through sleep. It has, however, been joyously calming. Most of my normal reading is research-reading, so this interlude of back-to-back fiction - mostly easy to digest novellas - has been a real fillip. Medieval Romance, Humour, Post-Apocalypse, Paranormal... none of my usual fare. When I did venture onto the Net to check emails I found a Tweet: Can I quote you in my book? How's that for a fillip? Someone thinks my words decent enough to set, if not in stone, in a how-to ebook. And with the dextrous swirl of a conjurer's hand, it has now been launched. 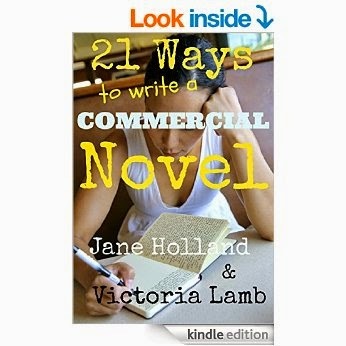 21 Ways to Write a Commercial Novel by Jane Holland & Victoria Lamb. That's my next reading sorted then. It'll be interesting to see in what context I've been quoted. Take my advice, even if you're not ill, schedule in some downtime and slot in a good book. It's a great fillip. Honest. This week it's the Show & Tell Technique - and there's no gold stars for guessing which is which. It was a stormy night. Tessa checked the windows, trying to find the one she could hear banging, when the electricity failed and the lights went out. And then the banging stopped and she felt very alone. Tessa pulled back the curtain to thump the heel of her hand against the casement. It held firm. Where was the one she could hear banging? A squall hit the glass with the force of thrown gravel and she stepped back, the billowing curtain impeding her escape. In the garden opposite, the fir trees were bending further than they should have been able; the streetlight stanchion rocking wildly. It looked too thin not to snap under the stress. Someone in the house over the road was checking their windows, too, and seeing an arm silhouetted against the light from the room behind made her fight her way free of the curtain and cross the lounge. She had a torch somewhere.... where? The power was sure to go. Candles? When did she last use candles? The window in the study was secure, the two in the dining room. Perhaps it wasn’t a window she could hear. Perhaps it was a door? She stood to listen, the wind shrieking through the tiny gaps in the house, slapping gritty rain against the windows. She’d checked the doors. But not the one to the garage. Tessa pushed into the kitchen as the lights flickered, took a step towards the passage as the power died. One moment there was the comforting hum of the fridge, the rattle of the dishwasher going through its cycle – the next there was nothing but a blackness she knew was full of discarded shoes to turn her ankle and stools to catch her knee. Wait until your eyes adjust. And then there was no banging. Just the rain against the unseen window, the shrieking of the wind which sounded far, far too human. Okay, so the Tell is bare-bones statement telling, but my point here is that the Show is one aspect of the Show technique. It isn’t truly showing from Tessa’s viewpoint, but giving the impression of doing so by the use of pacing and atmosphere. In truth, this follows on very much from the Writing Prompt #8 where character traits were shown rather than stated. Have fun! Are you reading this on your tablet or your iPad? Is your wristwatch a Wal-Mart special or a Rolex? Are you about to pick up a Biro, a biro, or a Mont Blanc? Naming imbues with life. For the reader it drags in its wake mental images, not just of what the item looks like, but lifestyle pointers to the person using the item – just as the advertising industry maintains. Characters’ names do the same: Roberto, Robert, Robbie, Rob, Bob, Bobby/ie, Bert. How do you see those individuals? Are they the same age and social standing? Do they dress the same, drive the same vehicle? I’ve just finished a novella where the first-person viewpoint character is referred to throughout as Ms Jeffries – but only via one male character; no one else in the story names her. Another character refers to him as oily, meaning obsequious, which he is. But as the story progresses the reader, through Ms Jeffries' viewpoint, understands that the man has an agenda. However, if from the start he had referred to her in tones of... Hi, Gladys, h’ya doin’, girl? ...the tension between the two characters would have been different, and with it the atmosphere and tone of the story, and doubtless its ending. Naming imbues with life, so choose with care the names used in your fiction. Better still, choose a name that can be altered depending on the user’s ulterior motive.